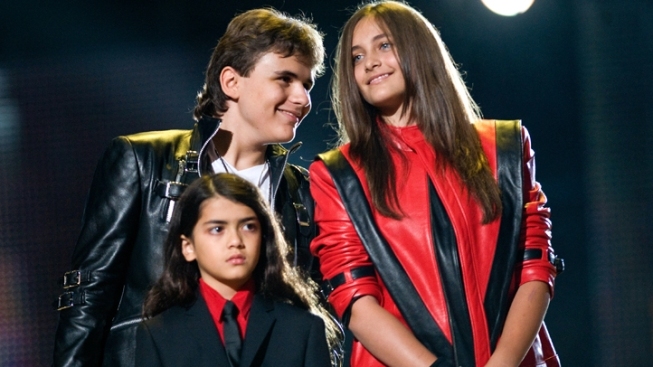 (L-R) Prince Michael Jackson, Blanket Jackson and Paris Jackson appear on stage at the Michael Forever Tribute Concert in memory of the late Michael Jackson at the Millennium Stadium on October 8, 2011 in Cardiff, Wales. Paris and Prince are speaking out on Twitter. After what no doubt started to feel like forever, Michael Jackson's daughter Paris was finally able to tweet that her grandmother, Katherine, was back home again. "grandma's here! #thankyougod," the 14-year-old wrote early Thursday, adding: "5 hours of sleep last night, been awake for 23 ... time to #hibernate." However, while Paris has been very vocal via Twitter regarding her grandmother's whereabouts over the past week, her brother Prince has been silent. Until now. The eldest of the late pop star's children tweeted the following regarding all the drama surrounding his family. "I would first like to start off by thanking the fans that have always stood by me and my family, my dad really appreciated your support and I still treasure it to this day. As I am sure everyone is well aware of the events that have been going on. I have been holding off on backing up my sister and her tweets avidly because I was waiting for the time to reveal my side. "As long as I can remember my dad had repeatedly warned me of certain people and their ways. Although I am happy my grandma was returned, after speaking with her I realized how misguided and how badly she was lied to. I'm really angry and hurt. "The following image is of a group chat I had started to several family members. This group text message I had started was replied to but they didn't know that I could see the responses. For this whole time, they denied us contact to our grandmother. If you continue with your lies I will continue with the truth." Prince, 15, signed the tweet with his real name: Michael Jackson Jr.
"This is enough so I am texting you for the simple fact that WE DEMAND TO SPEAK TO MY GRANDMA NOW!!!" Meanwhile, prior to returning to her Encino, Calif., residence, Katherine herself finally spoke out in a taped statement to ABC News on Wednesday. "I am here today to let everybody know that I am fine and I am here with my children, and my children would never do a thing to me like that, holding me against my will. It's very stupid for people to think that," she said with Rebbie, Randy and Janet Jackson by her side in Tuscon, Ariz., where she has been resting at a spa for the last several days. She added, "There's a lot of lies that have been put out there and I am going home to straighten them out...So I want to say goodbye and I am on my way home." Of course, home is a bit different now seeing how Katherine temporarily lost custody on Wednesday of her grandchildren Prince, Paris and Blanket. T.J. Jackson, Michael's nephew and Tito Jackson's 34-year-old son, was appointed temporary guardian of the three kids after Paris and Prince consented to being in T.J.'s custody in the absence of their grandmother. 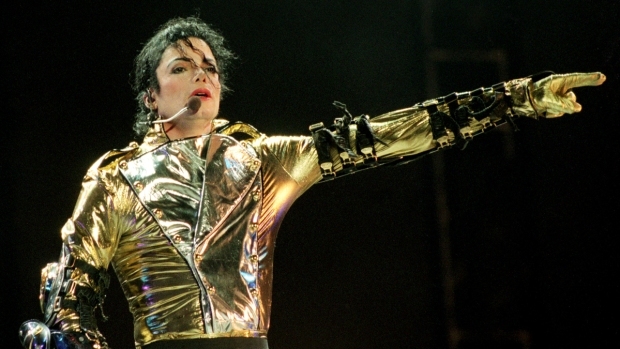 Singer Diana Ross, whom Michael listed as a backup guardian in his will if anything were to prevent Katherine from fulfilling the role, has been given notice of the situation in case she wants to be appointed guardian. Also informed of the custody change was Debbie Rowe, the biological mother to the two elder children. T.J. has filed a request to be named permanent guardian. Per Wednesday's order, the children cannot be removed from California.